Police chaplain Christian Von Wernich was convicted in 2008 of particpating in abductions, torture and murders during the Dirty War. In court he told the surviving torture victims who gave evidence that they were tools of the devil. “Of all the national churches in Latin America, Argentina is where ties were closest between the clergy and the military,” says historian Kenneth P. Serbin. Because Argentine history in the 20th century was punctuated by military coups — in 1930, 1943, 1955, 1966 and 1976 — this alliance gave the Church great power. The Church reacted on June 14 by turning the Corpus Christi procession into an anti-government demonstration. The next day Perón expelled the Bishop and his assistant who had led this, and the day after that, the 16th, Pope Pius XII excommunicated the President. Perón was ultimately overthrown on September 19 by a nationalist Catholic group from the Argentine military. Now the way was clear for the first Argentine concordat with Vatican. One of the leaders of the coup, General Pedro E. Aramburu, was installed as president and signed a military concordat. This agreement set up a special chaplaincy for the military, which separated the military personnel and their families from the dioceses where they lived. This religious isolation of the Argentine military from the rest of society had consequences, for the 1955 takeover was no ordinary coup. The new military regime introduced a form of religious McCarthyism, which went far beyond the “reds under the beds” scare tactics of the Cold War era in the US. The junta’s anti-communism was rooted in a nationalist Catholic movement which had begun in France, Cité Catholique. Its founder, Jean Ousset, had been an official in the French Vichy Government and after the war when this Nazi puppet regime had ended, he set out to spread its nationalist Catholic ideology through the French colonial army. The Algerian War (1954-1962) became the proving ground for Cité Catholique. 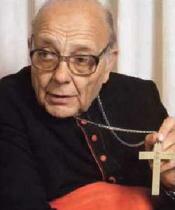 Cardinal Raúl Primatesta presided over the Argentine bishops throughout the Dirty War. At Christmas 1975 he said that action was necessary. “However, the remedy may be hard, because the left hand of God is paternal, but it can be heavy”. With this he coined an ironic term among Argentines for the state terror that followed — “the left hand of God”. As the tide of war began to turn against the crusaders, Ousset decided to create branches of Cité Catholique in other parts of the world. The first of these was in Buenos Aires in 1958, and the target was the army. However, unlike the French army, there was no need to infiltrate the Argentine military secretly. The military chaplaincy was able to spread these doctrines openly. The crusade against subversion preached by Cité Catholique was adopted by the junta as its Doctrine of National Security. According to this, the real threat to Argentina came from within the country, from “subversives” who sought to destroy the traditional values of Argentine society. Who were these subversives? Anyone who did not adhere to the Christian and military virtues that were supposed to save the world from communism. This doctrine redefined the military’s role: the armed forces were to protect the country's ideological purity, not just its geographical borders. And who, in turn, was to protect the ideological purity of the armed forces? The new military chaplaincy. 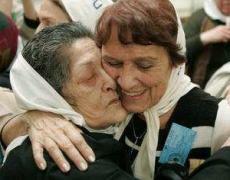 In 1997 the Mothers of the Plaza de Mayo filed charges in an Italian court against Cardinal Pio Laghi. They accused him of being an “active accomplice” in the Dirty War when he served as papal nuncio in Argentina from 1974 to 1980. The Cardinal said he’d had no idea what was going on — and escaped prosecution by claiming diplomatic immunity. ♦ Bishop Emilio Graselli was Tortolo's secretary and kept a list for the military chaplaincy of people who had been disappeared, marking with a cross the names of those confirmed dead by the military. As self-proclaimed protectors of morality, the Argentine military spread terror among civilians, but when it started a real war it had to face opponents who shot back. During the 1982 Falklands War the sense of a moral crusade continued. The invasion attempt was code-named “Rosario” in honour of Our Lady of the Rosary. Originally invoked for saving Christendom from the heathen Turks, she is venerated in Argentina for repelling a 19th-century attack on Buenos Aires by the British. (An interesting equivalence....) As protectress of the nation she is also the patron saint of the Argentine military and its chaplains. However, this was the last time that the military chaplaincy was able to lend its support to the junta, for after the humiliating failure of the Falklands invasion, the military dictatorship finally came to an end. Pope Francis I, who was then head of the Argentine Jesuits has since tried to whitewash the role of the Church during the Dirty War. 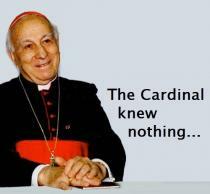 In an interview from 2010 he said that the Church “only gradually found out everything that was going on. At first little or nothing was known”. ...“At first little or nothing was known”? Uki Goñi, “Role of Vatican in Argentina’s Dirty War”, Pacific News Service, 1995-05-24. • Bishop Emilio Grasselli, secretary to Cardinal Antonio Caggiano, the head of the military chaplaincy. 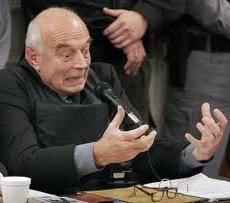 This testimony about Grasselli backs up Father Richards and also the witness accounts presented by the Mothers of the Plaza de Mayo: that the Military Chaplaincy kept lists of the disappeared, crossing off those who had been killed. Rome, June 16  — Pope Pius XII excommunicated Juan D. Perón, President of Argentina, today, along with all others who "trampled ont he rights of the Church" and "used violence" against ecclesiastical dignitaries in that country. This action was taken against President Perón for his recent strongly anti-Catholic attitudes and actions. These actions culminated yesterday in the explusion from Argentina of Msgr. Manuel Tato, Auxiliary Bishop and Vicar General of Bueanos Aires, and of his assistant, Msgr. Ramon Novoa. The wording of today's excommunication decree follows a formula that has become invariable in cases where high prelates have been the object of indignities or prevented from exercising their ecclesiastical functions. It was aimed anonymously against all persons who had any share in the acts of persecution against the Church in Argentina. Formerly all excommunications were against individuals. Nowadays, however, the Church mentions names as a rule only when the object of excommunication is an ecclesiastic who has published a heresy or defied ecclesiastical authority.